"Familiar to most, fun for children and family-friendly"
Theodor Seuss Geisel has been one of the most influential authors for generations. Under the pen name, Dr. Seuss, he wrote and drew some of the most beloved characters in children’s literature such as The Cat in The Hat, Horton Hears a Who and one of the most celebrated villains, The Grinch that Stole Christmas. The Ebenezer Scrooge of animation, this furry, green hermit is one of the most recognized figures during the Christmas season. It is no wonder that studios would want to resurrect this heartfelt monster eighteen years after the live-action smash hit with a computer-animated film adaptation with Benedict Cumberbatch replacing the iconic Jim Carrey in the lead role. For parents and children having this book and potentially films on autorepeat during Christmas, the storyline may be so familiar that the book is hidden until quickly after presents are unwrapped. For the benefit of those few individuals that may not be familiar with Dr. Seuss’ commentary against the commercialization of Christmas, let’s travel to a community inhabited by the Whos. A land where the Christmas holiday is celebrated with enthusiasm that contains no irony and allows the spirit of the season to lift the spirits of all who live there, except The Grinch (Cumberbatch). This hairy green monster (a reference to jealousy is entirely intentional) lives in the mountains outside this festive community and wants nothing more than to stop the singing, the exchange of gifts and the overall celebration. 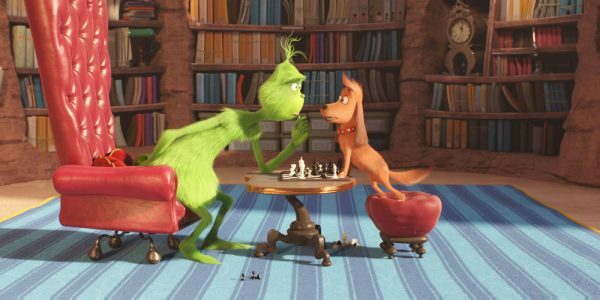 Along with his faithful dog, Max, the two put together a plan to not only stop the celebration, but to steal everything that represents Christmas in the village. Meanwhile back in Whoville, 5-year-old Cindy Lou Who (Cameron Seely) is trying to get a special message to Santa, but cannot get her letter to the big red elf before Christmas. This causes the precocious, but caring child to devise a plan to trap Kris Kringle on Christmas Eve to ask him for a special gift for her overworked, but self-sacrificing mother. 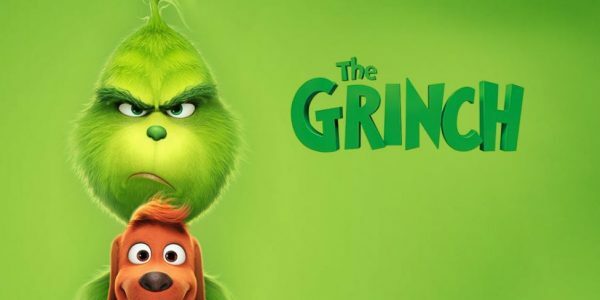 A scheme that eventually crashes into the diabolical plans of The Grinch and exposes the true heart of the story and what the Whos truly value at Christmas. What will help audiences to appreciate or at a minimum understand the intended audience of this story is that this was written as a children’s book. Even though Geisel did have a deeper meaning to the holiday tale, it is ultimately a story for parents to read to their young children. Ron Howard and Jim Carrey made a mature interpretation of the classic Christmas heist, but the reality is that this is meant for little children. Illumination Studios seems to realize this and has made a film that is intended for families with children under the age of 5 years. Tapping into a poorly serviced demographic, the story is safe, silly and simple, just like most of Dr. Seuss’ books. The primary message remains intact, the animation is exceptional and adolescent children will be rolling in the aisles at the moronic pratfalls and simplistic gags for years to come. More importantly, this film provides one of the few options for parents to take along their children to this season and it may even put a smile on their face with the memories of reading this book with their parents. 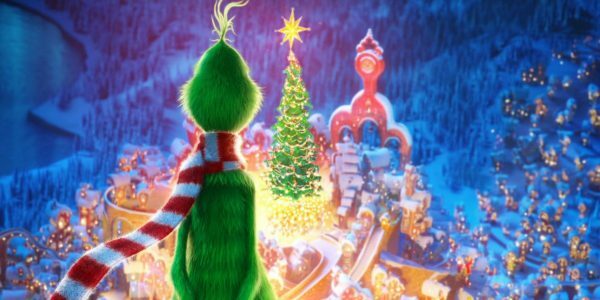 The Grinch has some modern twists, but in the end, it is familiar, fun and family friendly.